Pristine, fully upgraded, 3+ bedroom residence was almost completely renovated in 2013, the effective age of the home. 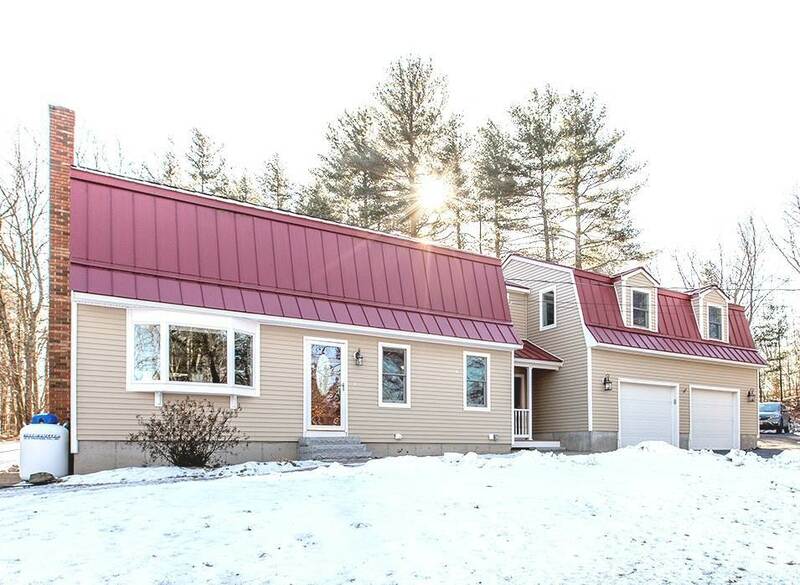 2013 work includes a standing seam roof, interior maple floors, interior sheet rock, insulation, kitchen w/granite counters & island & tile back splash. Beautiful selections in all rooms including maple flooring upstairs & down, all meticulously maintained. Front to back living room has new windows front & back, including the bay window. Beautiful tile selections in all bathrooms. The magnificent 28x24 master bedroom has beautiful wide pine floors, dormer windows, 12&apos; closets, window seats & a spacious bathroom. Economic, clean propane heat with a separate furnace for the master suite. You won&apos;t find a cleaner, more well-kept house or garage, nor a more precisely landscaped yard. Spacious deck & privacy in the back yard. Enjoy separate patio w/ handsome fire pit. Gas grill hookups. Window treatments & blinds & newer appliances all to stay. Clean, walkout basement w/generous shelving to remain. Horseshoe, driveway w/turn around, newly paved in 2014 & in great condition. Charming breezeway, interior room w/covered porch entry is both practical & welcoming. Neighboring homes show pride of ownership. Convenient to Route 101, for Manchester, Concord and Seacoast commuters, this house will appeal to many buyers. Don&apos;t miss out. (3 bedroom septic. Subject to sellers finding suitable housing).